Pension Matilde v Granada, Španělsko: Zarezervujte nyní! 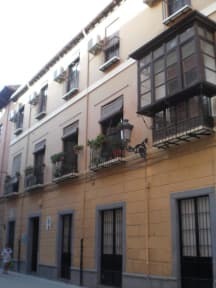 Pension Matilde is a nice Guesthouse in the center of Granada. In addition, we offer our customers city maps, brochures and information about the Alhambra, flamenco shows, Arabic baths, restaurants and other points of interest with the possibility of booking. We have parking spaces for 15 euros / day in secure public parking located 250 . Pension Matilde and are located in the tourist and monumental center of Granada , only 5 minutes from the cathedral , in a pedestrian area easily accessible from where you can visit on foot the most important places of the city, make shop in the most commercial and touring areas most popular restaurants and tapas streets. 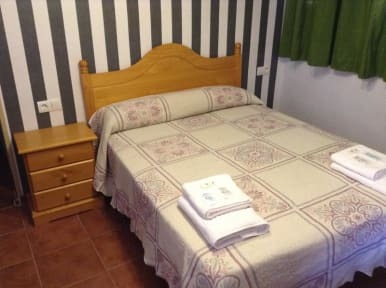 This guesthouse is located in the centre of Granada, 30 minutes´ walk from the Alhambra. Granada Cathedral is a 5-minute walk and you will find a range of shops, restaurants and tapas bars in the surrounding area. Granada Train Station is 1.5 km away and Granada Bus Station is 4 km away. Granada Airport is a 20-minute drive. Granada City Centre is a great choice for travellers interested in Shopping, Architecture and Old Town.